Eyeballs rolled when Nokia announced their PureView 808's 41 megapixel Carl Zeiss camera. Most photographers have realised megapixels don't mean much alone, you need the whole package including eyeballs and that all essential lump behind them. Has Nokia gone bonkers or simply desperate? Perhaps. Before going into the camera function, let's talk phone first. To sum it up, Symbian Belle. It is the latest and perhaps last of an old phone OS. Being a Nokia user for a long time, I find it familiar and is actually quite sufficient for me. However that could be Nokia's Achilles Heel as most perceive it as old fashion, uncool. Hardly the bait for non-Nokia lovers. Apparently development on the sensor started when Symbian was still their hope against Apple, so they stuck with it. Stephen Elop the ex-Microsoft man seems to be the orphan maker with N9 and now this. Is he the Man to save Nokia or serve Nokia to Microsoft? What interested me is the camera function, which surprisingly exceeded expectation. Nokia developed this huge sensor, did the simple thing of "downsizing" the resulting image. Ok, it is not a direct downsizing, but with a bit of engineering magic, they also managed to capture a fair bit of details. The camera function response is quick. From the lock screen you just press the dedicated shutter button and the camera comes alive to shoot. Touch focus on the screen and shoot with the same button or on screen button. It just might win in an OK Corral shoot down. The PureView 808 can "zoom" and keep quite good details.Try doing this on most camera phone and you get mush or impressionist art. It is not an optical zoom or even digital zoom, it is more a "crop" camera. "What is so impressive about that picture?" you might ask. Here is the full image capture. Sure most tiny point and shoots can do the same but we are talking camera phones. 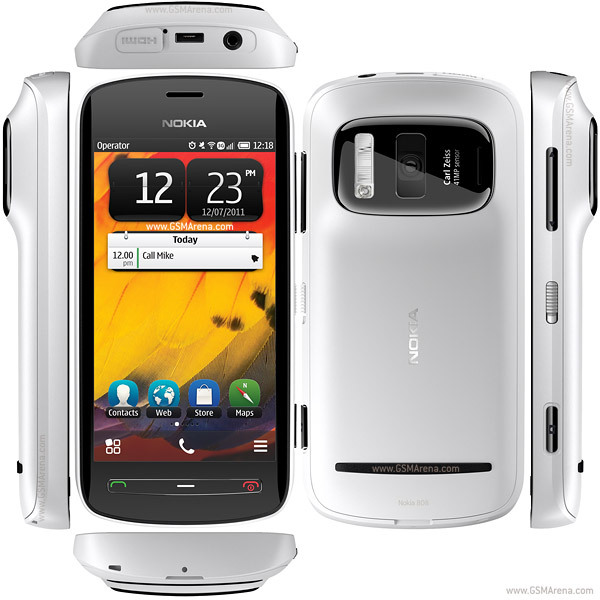 Video recording is Full HD with auto-focusing and zoom. Looks impressive. Watch the video as it pans to the setting sun. What else impressed me is this test of camera phones plus an Olympus EPL-2 camera. It is not a true blind test scientifically speaking, but go on, try it out before the reveal on the last page. The biggest problem with this camera phone? It is EXPENSIVE at around SGD $850, even more than the flagship Windows Phone Lumia 900. That and it is running on Symbian. Do I want it? You betcha.